and maintain healthy feet, we can help. which can be caused by other disease processes. toenails, pressure related ulceration, and general discomfort. I’m trying to keep you mobile and healthy! Marion Draper | B.Sc (Hons) Pod. M. Ch. S.
Welcome to the online home of Vicars Cross Podiatry in Chester. 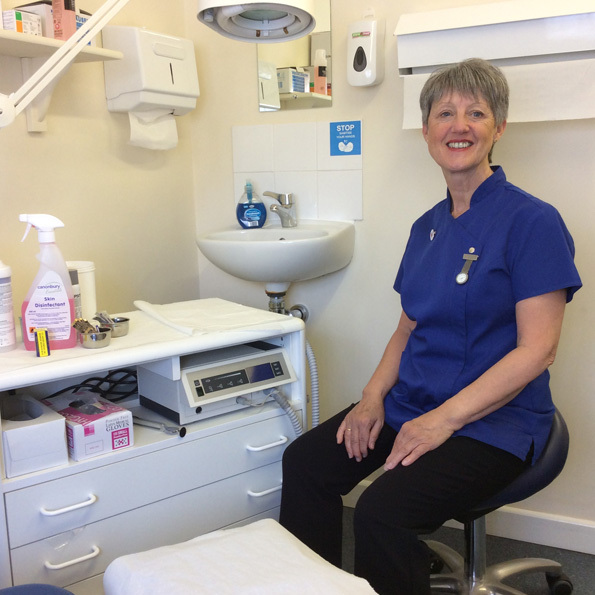 My name is Marion and I am the senior clinician at Vicars Cross Podiatry, I am a full qualified and highly trained podiatrist based in Chester. As an experienced podiatrist, I offer a comprehensive range of treatments and advice for all foot and lower limb problems, including corn, callus removal and bio-mechanical assessment. Contact me at my clinic today for more information, I will be happy to help. Wish I'd visited sooner, very knowledgeable and sorted my feet out. Excellent and recommended.